Total Savings $371! If we’re being honest, most of the “For Less” pieces we prefer over “The Look”! If you’re interested here are several more posts of inexpensive outfits from retailers like Old Navy, Wal-Mart, on up to Crew cuts and Zara, International brands like Geggamoja and Czesiociuch and darling boutiques like Louis B and Supayana! We’d love to know, what shops are your go-to for finding on-trend pieces for less? 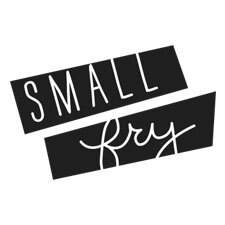 Also, if you have any looks you’ve seen and loved that you’d like us to hunt down for you, email us: hello at smallfryblog dot com! You might just see it in a post! Love this! 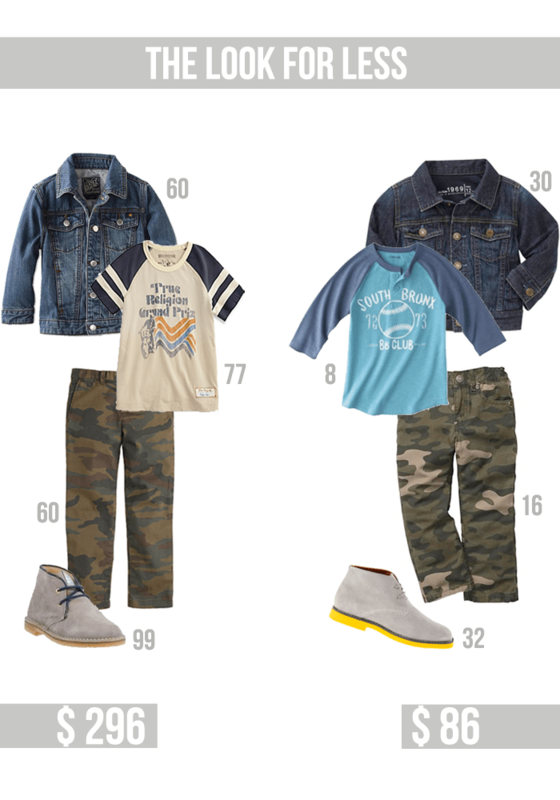 I mainly shop at Target and H&M for my kids, but the Joe Fresh line for JCP has been killing it lately. Gap has great sales sometimes, and for things like shoes and jackets I’m willing to spend a bit more, so I often turn to Boden or Crewcuts. I’m always amazed at what I can find at Walmart or TJ Maxx sometimes too though!